These days, there are numerous online teaching companies cropping up all over the internet. With so many scammy schools, it can be a challenge to know who to trust. We taught English in China for a year, and many of our friends have well-paying online English teaching jobs – which they highly recommend due to the flexible, remote schedule. We’ve written about some of the top companies to teach for if you’re from the USA and Canada, but today we have a company that both our US and UK friends can sign up with…and it’s about time! 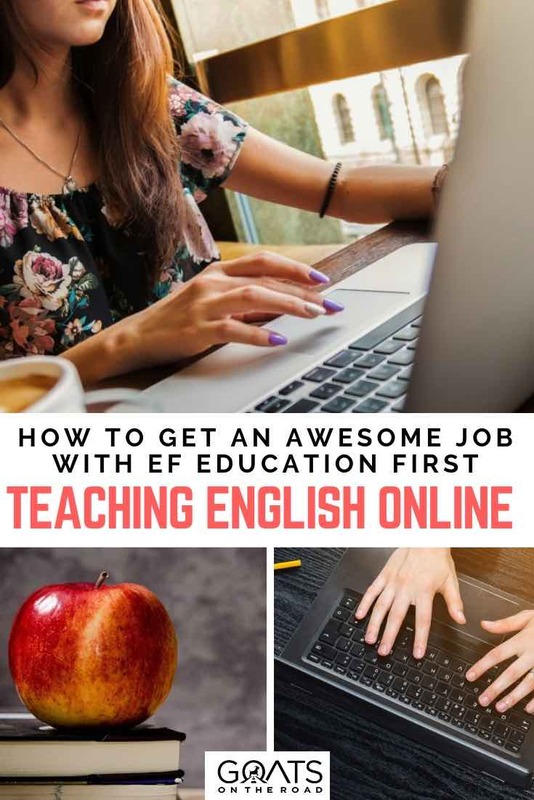 Teach English with EF Online, which is one of the leaders in education with over 580 schools globally. If you’re looking to teach ESL to eager Chinese students, you can do so with EF Education First, from the comfort of home. This is one of the many perks of remote work. Here’s a breakdown of EF Online, including the salary, requirements, benefits, sign-up process, and the pros & cons of working with EF. Ready to teach ESL? Let’s get started! What is EF Education First? EF Education First was founded in 1965 and is a major (established) player in the ESL world – with offices, schools and projects worldwide. Their mission is to open the world through education and they offer numerous programs to achieve that goal. Even though EF offers jobs around the world, this article is all about teaching online, rather than in person. EF Education First is the main company, with EF Online and EF English First being two of their many divisions. EF Teach Online was launched in 1997. For over 20 years they’ve been successfully running their online programs and schools, which is a more convenient way to teach English! Who Is EF Online For? We’ve yet to come across an online teaching school that accepts all native English-speaking countries. It seems as though most want teachers from the USA or Canada, which is largely due to the banking process of many of the online teaching companies. Plus, they think the North American accent is easier for a non-English speaker to understand. Sorry to our friends in South Africa, Australia, New Zealand and Canada, but EF Education First Online is only for UK and American citizens. 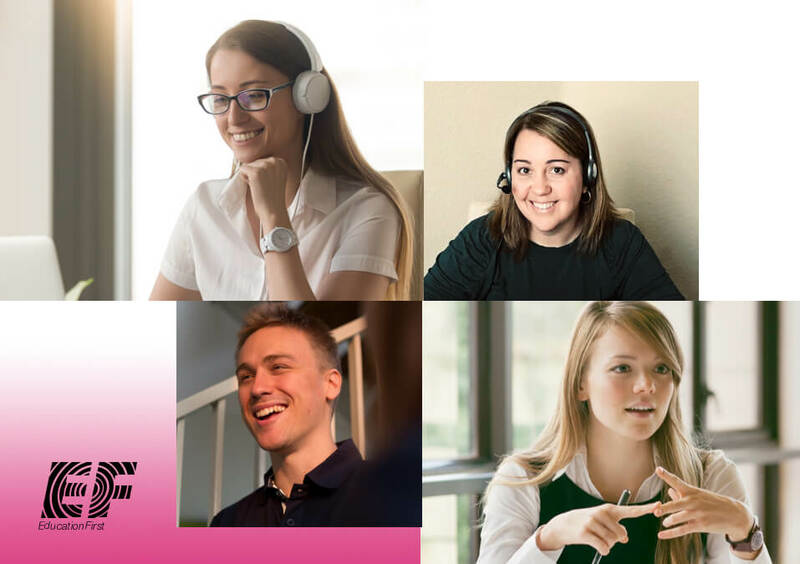 If you’re from the USA or the UK, and are looking to change the lives of others, while making an income from home, then working with Education First is for you. You get to create your own schedule, and have more time to spend doing the things you love. Classes are finished early in the morning or late at night, giving you the rest of the day to either work at a second job, spend time with your family, go golfing, head to the gym, visit with friends or simply relax. 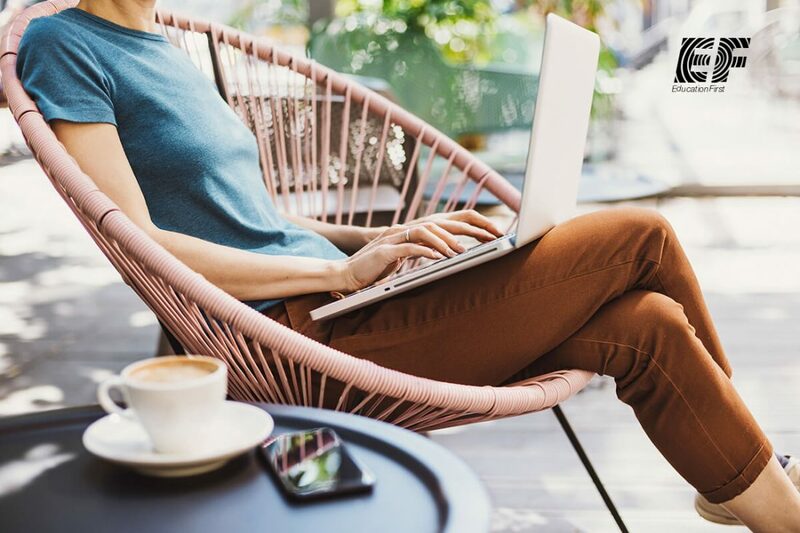 Working online with EF Education First gives you an incredible amount of flexibility. What Are The Qualifications For Becoming an EF Online Teacher? 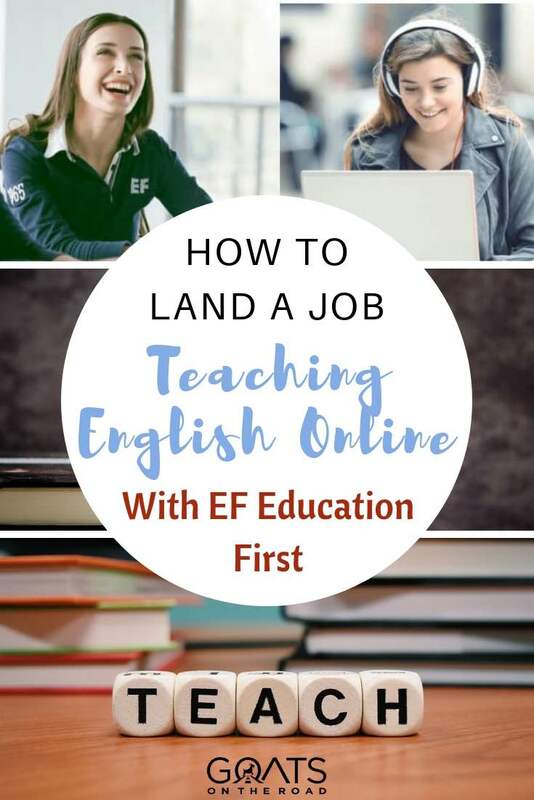 As I said above, you must be from the USA or the UK, but there are some other qualifications that teachers applying to EF English First must meet. Be a native English speaker living in the USA or the UK. Hold a bachelor’s degree (or higher) in any field. (If you’re in the process of obtaining your degree, you’ll need to wait until it’s complete in order to apply to EF). By the start of your contract, you must have completed a 40 hour TEFL (or higher). Click here to quickly obtain your TEFL – without breaking the bank. Agree to an online background check (the fee for this will be covered by Education First). Have a reliable headset, computer and mic for teaching. Be available to work during set hours. Have a solid wi-fi connection. Be passionate about teaching, and have a positive attitude. You’ll be teaching children aged 6-10, so keeping them engaged is important. If you meet the above qualifications, great! You can submit your email address and apply to teach with EF Education First Online. If you’re from the USA, you might struggle a bit with the class times. You’ll need to become more of a morning person – have some coffee on hand! Weekends: Friday night 8:00pm EST to Saturday morning 8:00am EST. And from Saturday night at 8:00pm EST to Sunday morning 8:00am EST. All classes are 25 minutes each. What sets EF Education First Online apart from other companies is that they encourage repeat classes. So you’ll find that you’re teaching the same student, at the same time, on the same day each week. Basically, if you and your student are working well together, then the parents will choose to book you for up to 6 months in advance (which is great for you as it means you’ll have a reliable income). I’m not sure about the rest of the world, but when it comes to teaching Chinese students (either in-country, or virtually), it’s all about the parents. They are the ones that you need to impress and are the ones who will decide if you will continue to teach their child or not. When we taught in China we would have to do live classroom presentations every couple of months to our students’ parents (about 15 of them) – talk about pressure! With EF Education First Online, at the end of each class you will need to provide a brief summary of the lesson you just taught (in English). But apart from that, you won’t be interacting with the parents. However, since they are the ones who create the schedule for their children, you’ll want to ensure that you have a good rapport with your students, and be approachable to the parents. What’s interesting is that these kids are already in actual in EF classrooms in China, and are supplementing their learning with online classes. So, they are used to the style of lesson already, you are just adding your flare and teaching style. Once you’re contracted with EF Online, you’ll go through an introductory class (which is just a few hours) and will learn how the platform works. As I said above, classes are 25 minutes in length, and the lesson material is uploaded into the system for you to have a look at before the class starts. How Much Do Teachers at EF Education First Earn? What About Taxes? As an English teacher with EF online, you’ll start at $13 per hour if you’re in the US, and £8.50 if you’re in the UK. There’s the opportunity to earn more based on qualifications, bonuses for repeat bookings, and completion of lessons during the weekday “peak” times. 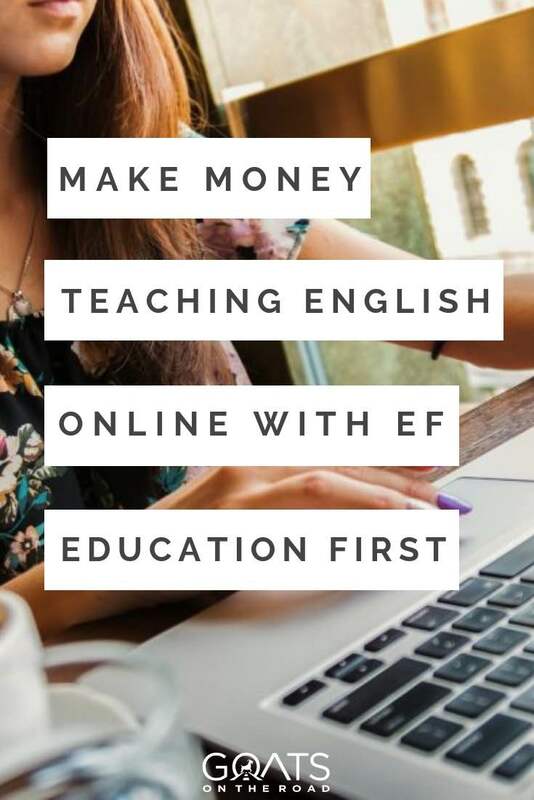 Online teachers at EF have the possibility of earning up to $19 / £12.50 an hour. Regarding payment of taxes, this differs depending if you’re a US or UK teacher. US teachers are considered independent contractors (meaning you have to deal with paying your own taxes), while UK teachers are employees and benefit from company pension and paid training. Further, for UK teachers, you will be on a 12-month contract (as opposed to 6 months for US teachers) with opportunities to renew. As your employer, EF Education First are responsible for your taxes, NI, and your pension contributions. Salaries are direct deposited to your bank account. As you can see, there are many more benefits than there are downsides to working as an online teacher with EF. Ready To Start Earning a Flexible Income? Teaching Chinese children really is a great way to not only make money on the side, but to learn about another culture, while impacting the lives of others. This truly is a rewarding job! Apply for the job today and start enjoying the benefits of online teaching. 10 Reasons Why Living in China Is Awesome! I am very interested in this endeavor. I am a Regional Director and Local Coordinator for an agency that brings primarily Chinese high school student to the US to attend our private high schools and go on to our American colleges. Many times in the 10 or more years I’ve Ben doing this I have tutored our students and proofread endless school written assignments. I am very accustomed to the culture. Sounds great Susan. If you meet all of the requirements in the article, please apply for a job Good luck and all the best. I am retiring from the agency in June. I think this job would be a perfect fit for me. I had a home childcare for 15 years and miss the 6-10 year old age group.